Vegan Lemon Tofu Cheesecake is gluten free, with a delicious honey walnut and maple syrup crust, is creamy, luxurious and flavorful. 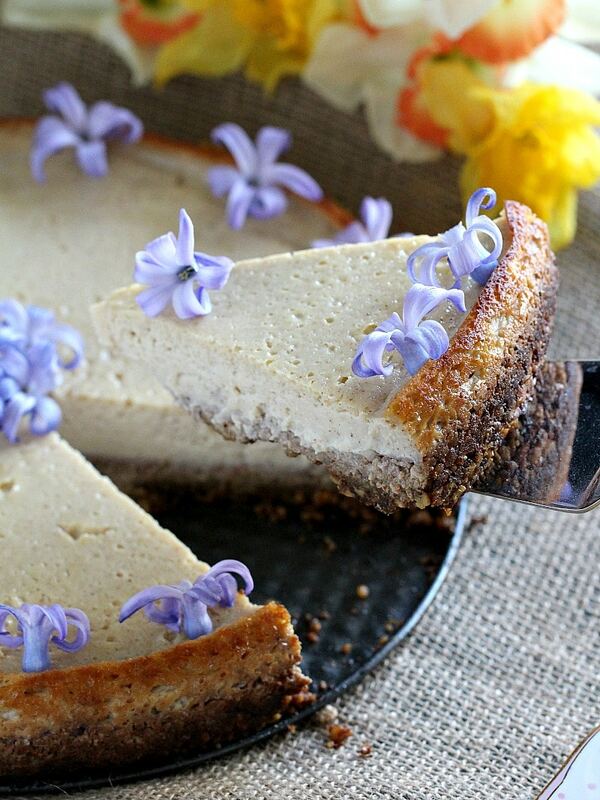 We have a lot of cheesecake recipes to chose from on our site. 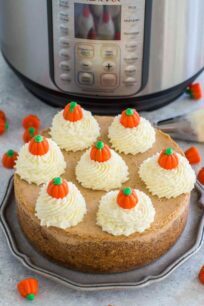 Among our favorites are Best Instant Pot Cheesecake, Samoa Cheesecake No Bake and No Bake Tiramisu Cheesecake. 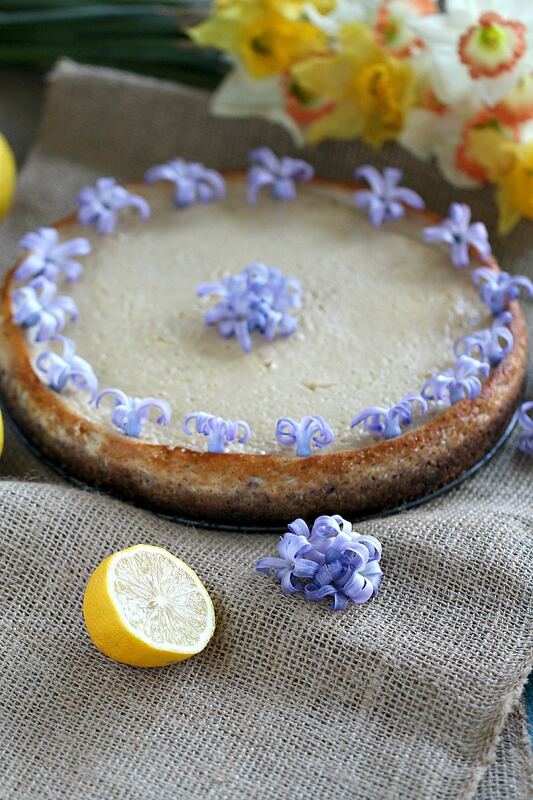 Vegan Lemon Tofu Cheesecake has been on my to do list for a long time. This cake is healthy, easy to make, and perfect during lent time. 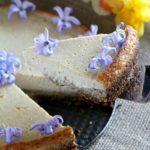 You guys know that I am a huge fan of creamy desserts, so I was really missing them during lent, until I finally tried my hand on this Tofu Cheesecake that changed everything. I must say that everyone in my family loved it. 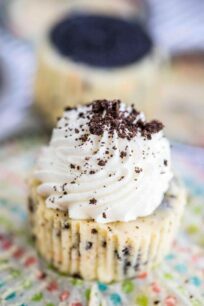 It is light and creamy, with a beautiful lemon flavor. The crust is made from ground walnuts and honey, which after baking, has a slight brown sugar flavor. Also, this Tofu Cheesecake is very easy to make, after you mix and chill the walnut crust you add the rest of the ingredients to a blender, then pour and bake. I just wish all the cheesecakes were as easy to handle. 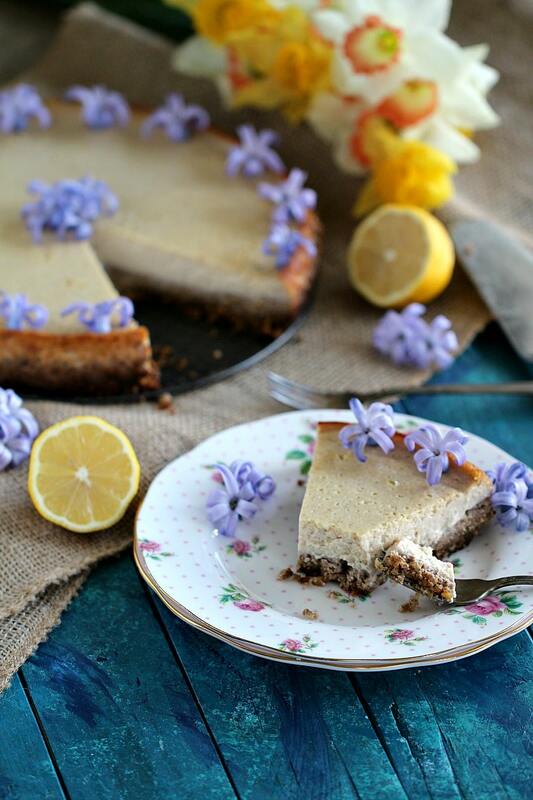 I recommend you treat yourself with this amazing Vegan Lemon Tofu Cheesecake, that is on the healthier side and is bursting with flavor! 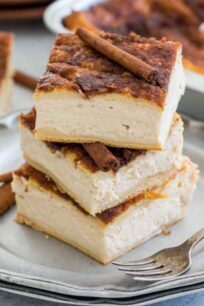 This recipe would also work as a pie, or you can make it in a rectangular pan and cut it into individual Lemon Tofu Cheesecake bars. Spray a 9-inch springform pan with baking spray and set aside. Grind the walnuts, transfer to a medium dish, mix in the honey or maple syrup for a vegan version and press the mixture tightly into the springform pan. Place in the fridge for 10 minutes to chill. Place all the ingredients into a blender and blend until smooth, about 30 seconds. Pour mixture into the pan and bake until top and edges are slightly browned, about 50 minutes. The center will look set, but it will be just a little giggly. Cool on the counter, transfer to the fridge and refrigerate until thoroughly chilled and firm, about 6 hours. Store in the fridge. Serve with fresh fruits, or raspberry sauce.